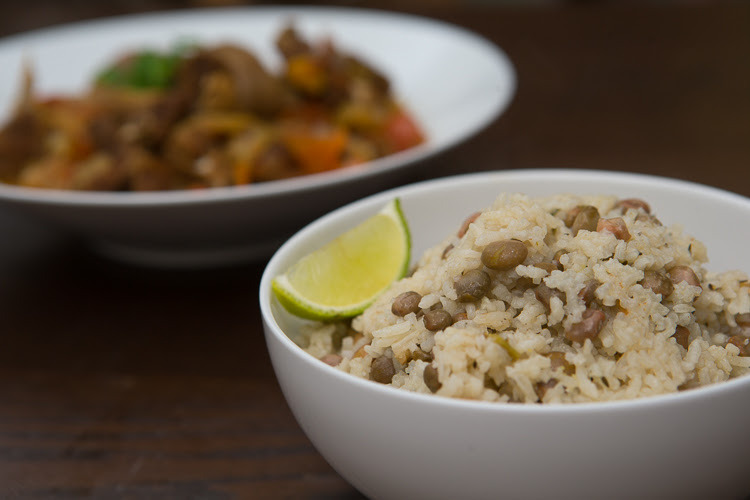 marilynmeetswes: Jamaican Me Curry and Rice? Jamaican Me Curry and Rice? I was given a black-and-white Jamaican cookbook from 1990 by a wonderful Jamaican Chinese woman who works with me at school. She truly is one of the most generous people - aside from slipping me pieces of sour plum candy and ginger tea packets, she's also donated a very nice trampoline to my kids. We share not only our love for students with special needs, but also our love for cooking and food. Of course in our talks, we got on the subject of Jamaican food. She and her husband are originally from Jamaica, and they preserve their heritage by making Jamaican food once in a while. 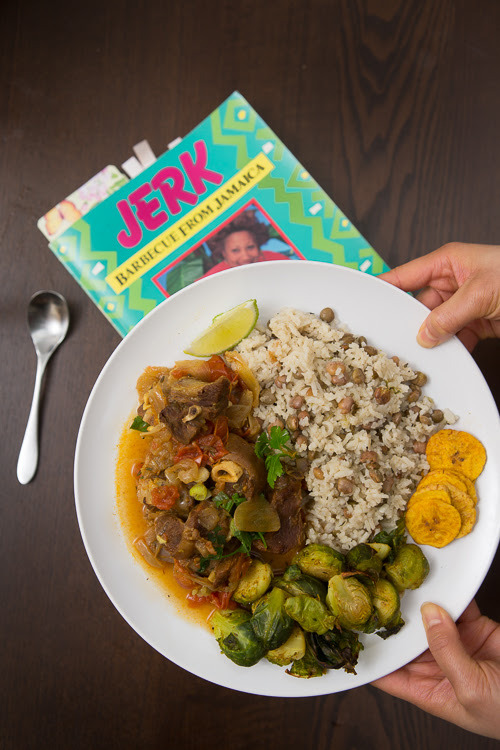 I got really interested, and one day, she brought me a can of pigeon peas, coconut milk, and this brightly colored cookbook with the word JERK emblazoned across the top. 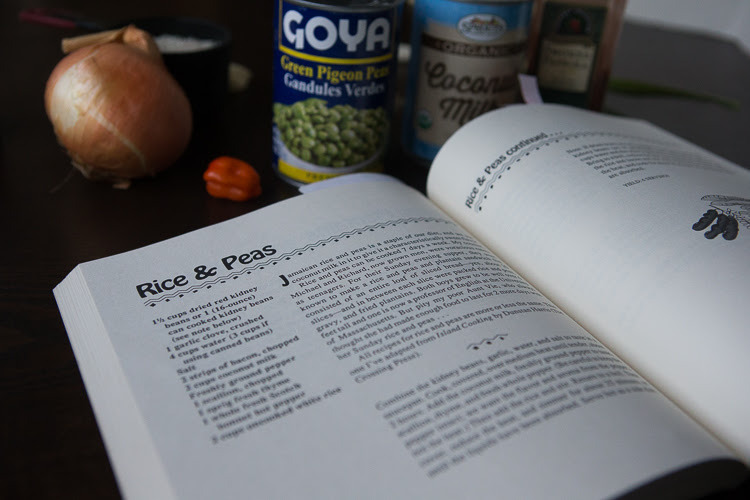 She tabbed page 112, the recipe for Rice & Peas. Well, if she was making it that easy, it would be embarrassing to not rise to the challenge. Although it took me two months to get to it, I finally made Jamaican food with Wes! 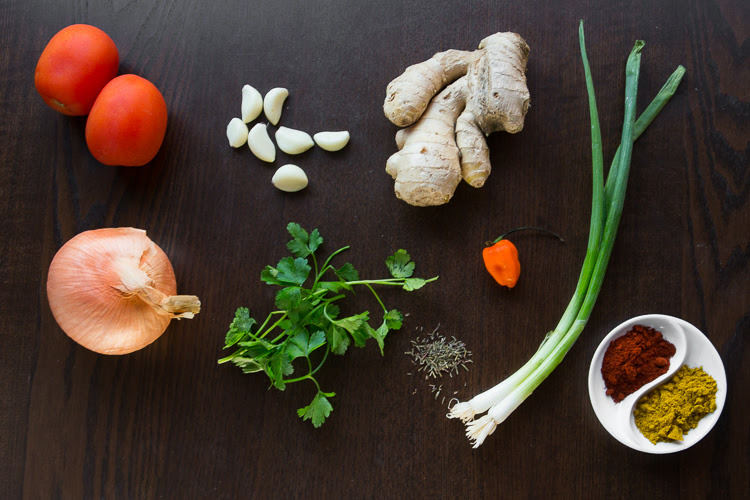 How we decided to make goat curry was really random. During one of our usual visits to the Chinese market, I saw some goat meat, chopped into big chunks, all wrapped up and ready to go. It didn't look the most enticing, bones bared, skin folds, and all, but I thought about how much I liked mutton and grabbed it. It went into the cart and almost back out just before we got to the checkout line - really... do we really want to cook this right now? We kept it as my heart rate spiked. When we heard the "beep" after it was scanned, I knew: there was no going back. So this goat sat in the fridge for a few days. I kept thinking about what to make...Korean goat stew? Goat ragu? 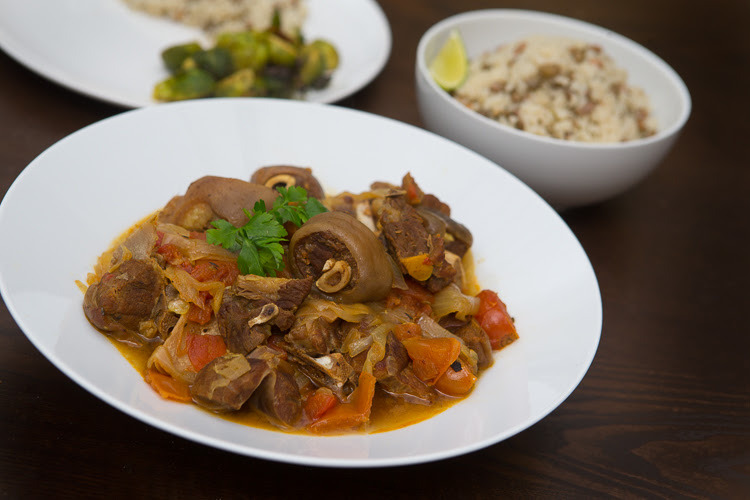 When I did a quick google search for goat stew recipes, the first one that came up with a Jamaican curried stew recipe. I immediately remembered the can of pigeon peas and the JERK book. 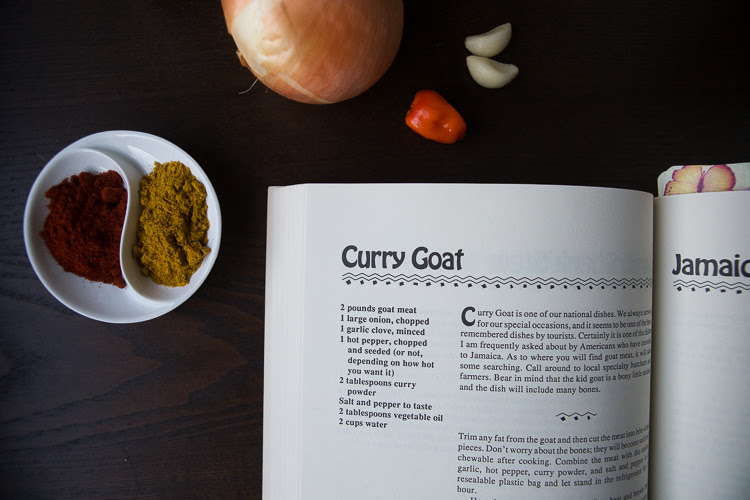 Opening the book to the index, I found "goat" (among "grapefruit juice and rum" and "gizadas") and lo and behold, there was a "Curry Goat" recipe right there! The book is quaint. I think they've come out with a new and updated version by now, but it's by Helen Willinsky, and it is written in the first person. When you read it, it's almost like a wise, kindly, and spunky Jamaican woman is telling you exactly how she likes to do things as she stands looking over your shoulder in the kitchen. There are also a lot of personal stories and background about Jamaican culture in the book. I really enjoyed sitting down to read all the random things inside--there's even a hand-drawn map of Jamaica at the beginning. But, I wanted to make the goat curry in the Instant Pot. I didn't have the time to sit there for hours and stew the goat, taste it, adjust it, stir it, and add to it. 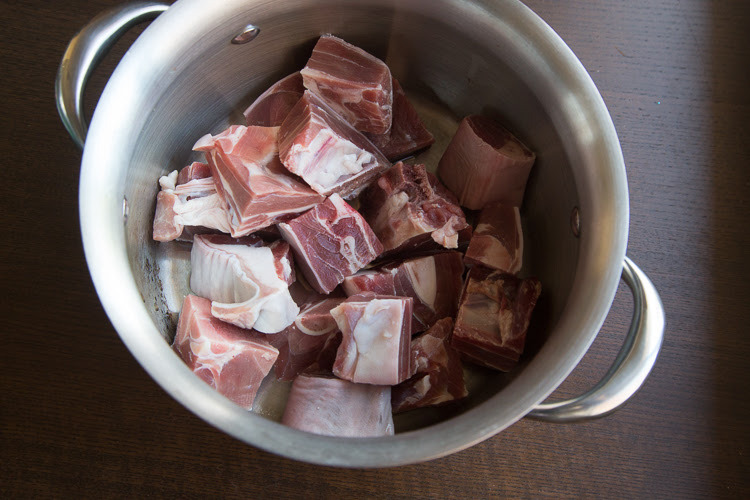 I do that with my oxtail stew noodles, and I already know that that is quite tedious and time-consuming. 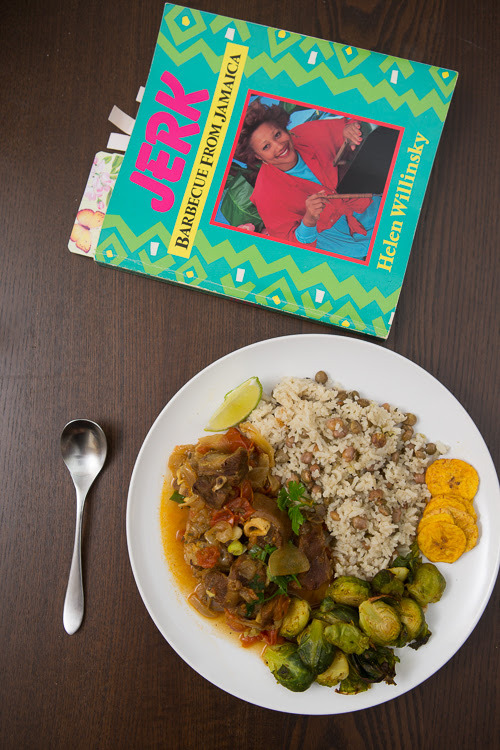 So, with a little help from Wes, we adapted Helen's curry goat recipe for the Instant Pot. The results were awesome! 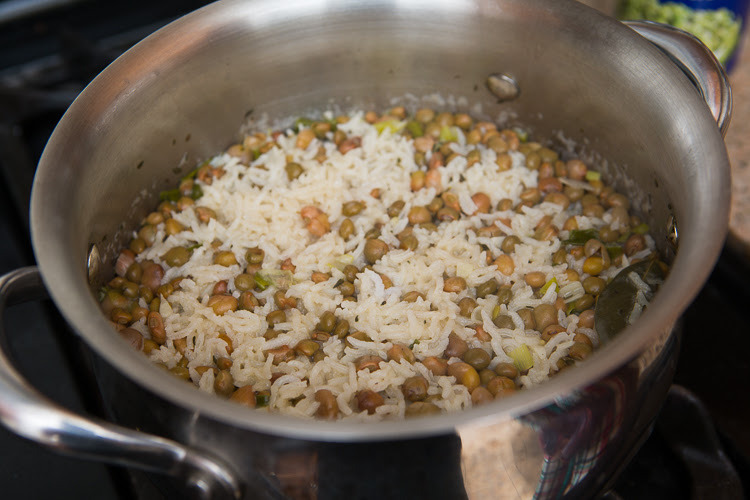 And of course, we made some rice & peas with that can of pigeon peas to go "wid it." 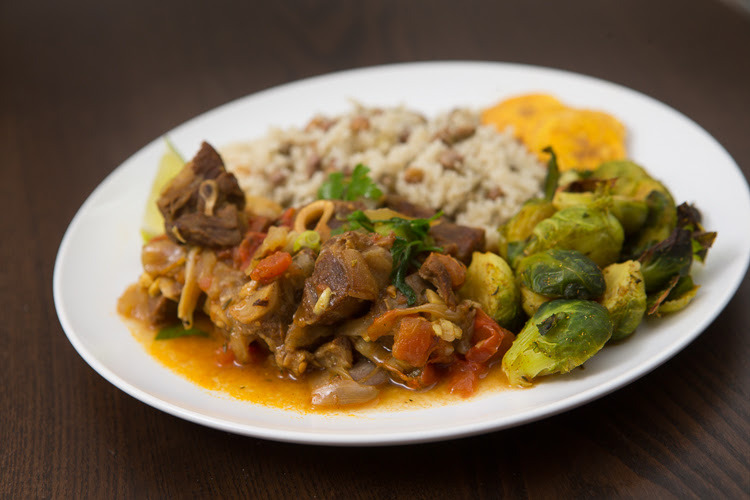 Here's an excerpt from the book about Curry Goat. 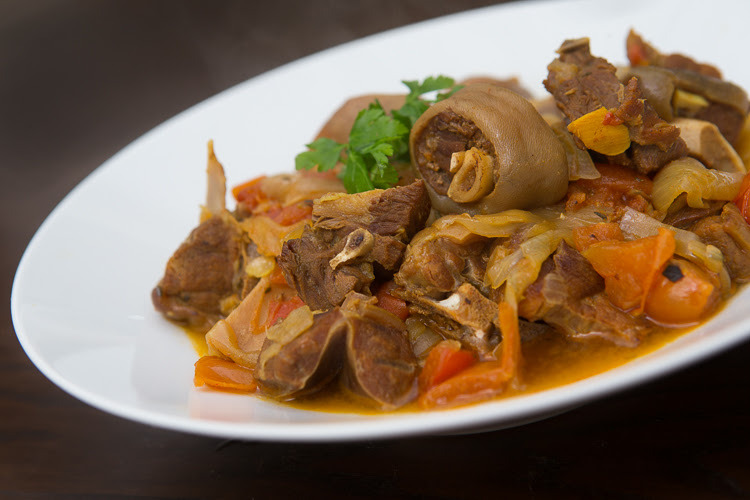 In Jamaica we never had access to the better cuts of beef until 20 to 30 years ago...other meats that we have long cultivated include kid and goat. It is wonderful to see all the little kid goats scampering up the mountains in Jamaica--you see them everywhere! Like pigs and chickens, goats are easily grown, take up little room, and eat a variety of foods. An additional bonus of the goat is that it is a lean meat and is a good size to produce enough food for a group of 12 to 15 people. 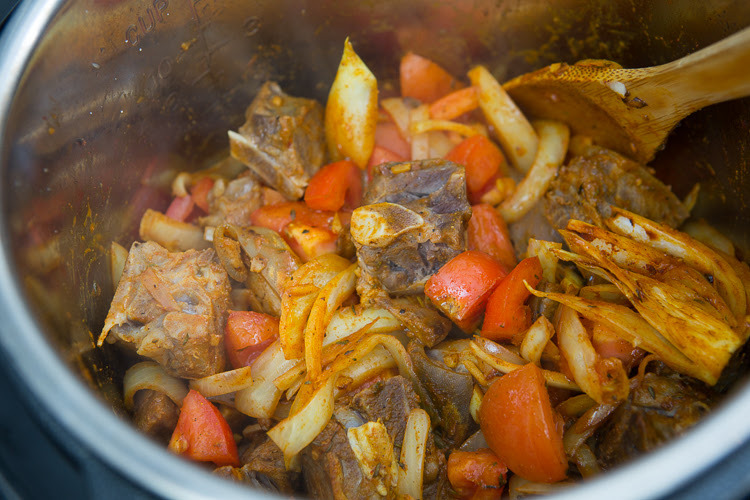 Until recently, we usually fixed curry goat, another national dish, for large parties. 1. 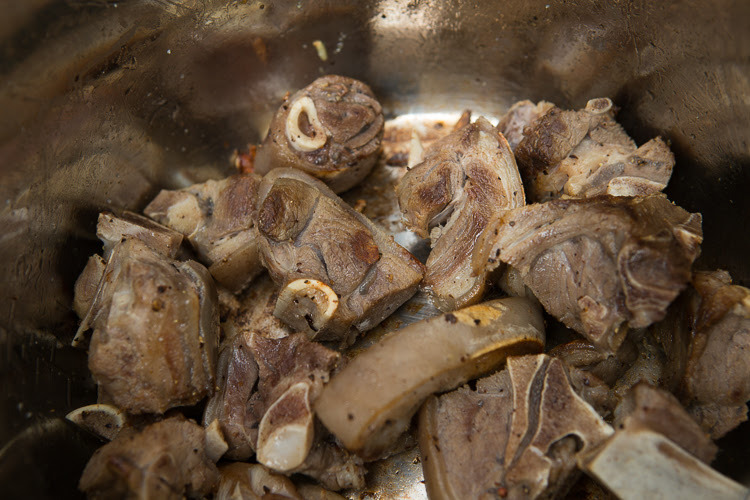 Bring a pot of water to boil with the goat meat in it. 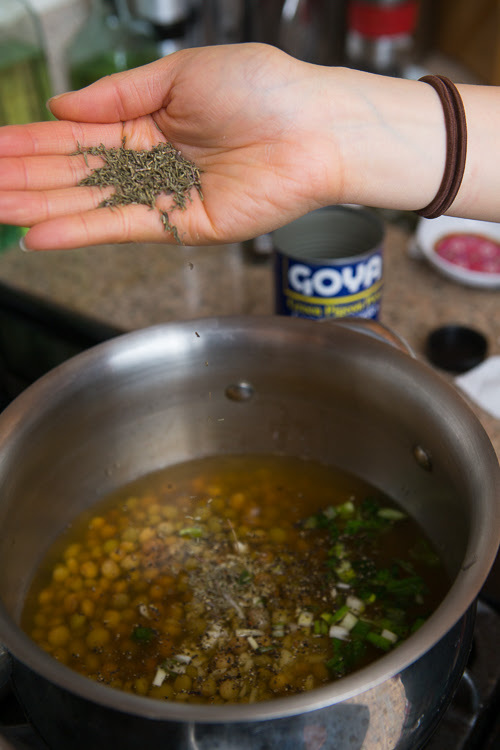 This step is just to clean off the meat--optional. I do this out of habit for bone-in meats. Scrape off the scum that comes up, and take out the meat. 2. 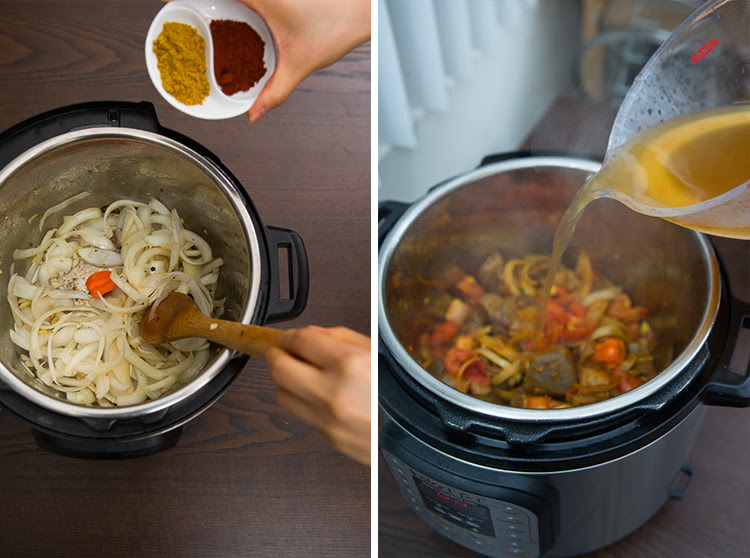 Add the oil into the Instant Pot on Sautee function. When the pot's hot, toss in the goat and brown it. Then, take it back out. 3. 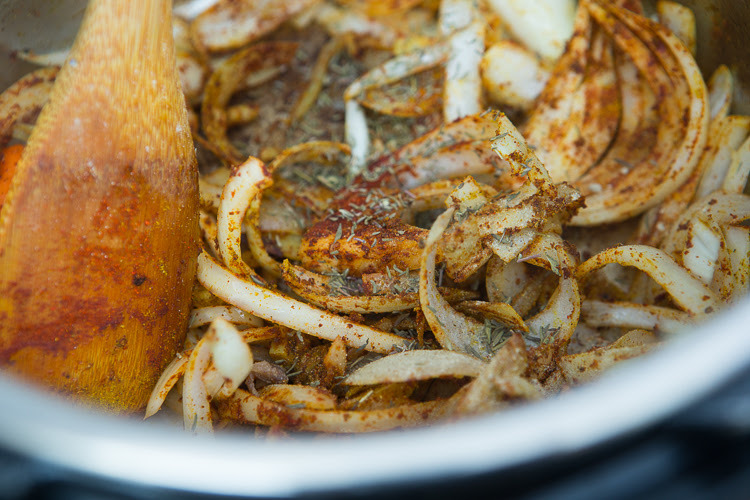 Leaving the Instant Pot on Sautee, brown the onions, chili pepper, garlic, ginger, and spices. Then add the tomato. Add the meat back in. 4. 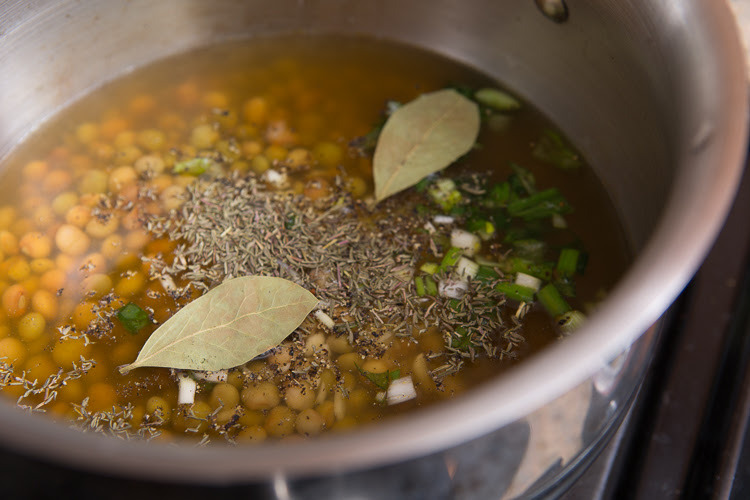 Add the vegetable broth and cover. 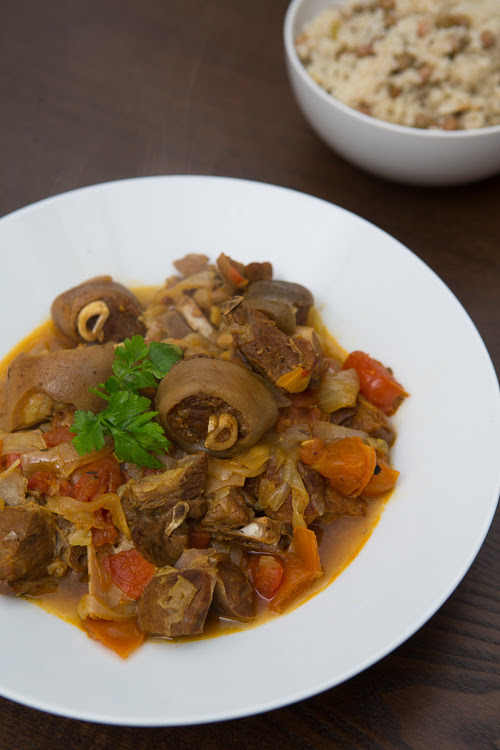 Set the Instant Pot on the stew function. 5. Once it's done (only 35 minutes! ), open it up and add the green onions and parsley. Here's an excerpt from the book about Rice & Peas. 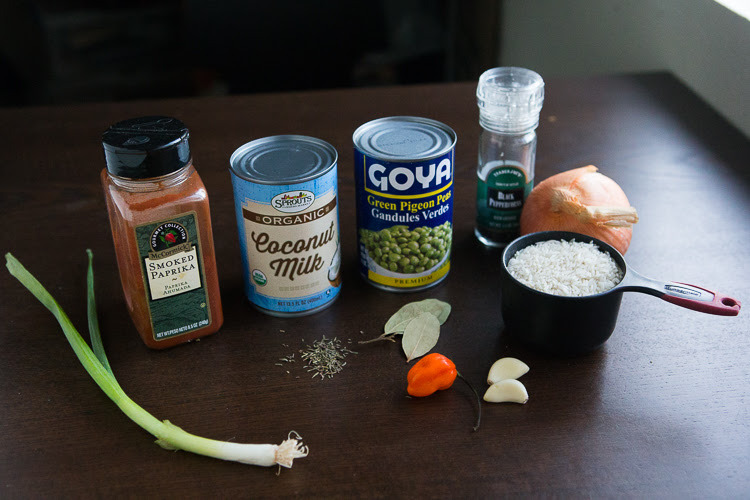 Combine the pigeon peas, garlic, scallion, pepper, vegetable broth, coconut milk, and spices (basically everything except the rice) in a saucepan. 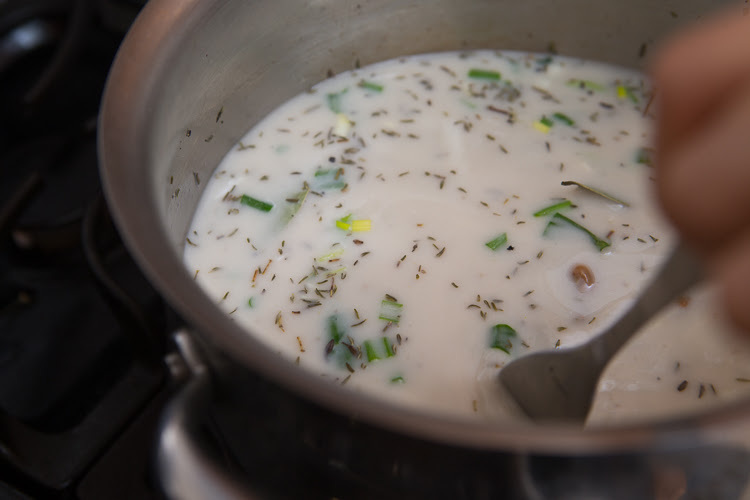 Bring to a boil, reduce the heat, and simmer for 5 minutes. Add the rice (and bacon if using) and stir. 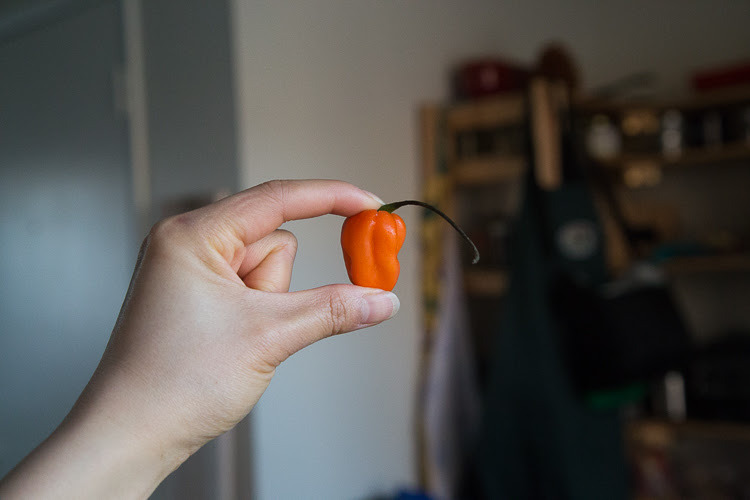 Bring to a boil, reduce the heat, and cook for about 20 minutes. Turn off the heat and keep the cover on for another 5 minutes. It was such a good feast. Helen Willinsky said that they make these things to last a week, for groups of 12 to 15, right? We just ate it all on our own, just the two of us, and there was only about half a serving left. Wes was dredging up the burnt coconut rice bits that were stuck in the pot and I was slurping that spicy stew soup even though I had eaten so much meat. If we had gone all out, we would have made some plantains instead of these random brussels sprouts (they were already in our fridge! ), but we did already have some plantain chips, so I stuck them on the side. 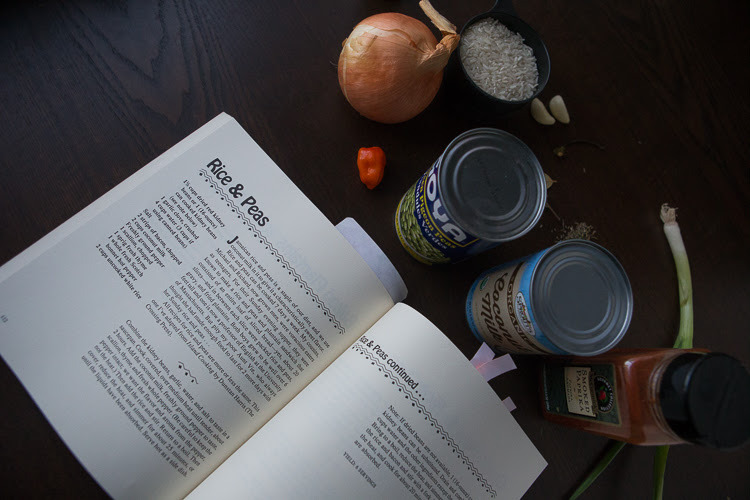 So now I'm super inspired to cook from old cookbooks and ask other people to share their favorite, most timeless traditional dishes and the stories behind them with me! Speaking of that, another post will come ASAP with Taiwanese cooking, inspired by my recent stay in Taipei at Grandma's house in January.